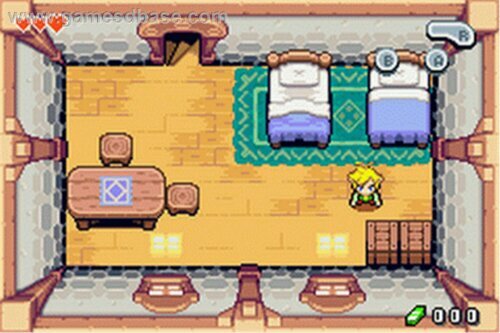 I’ve been playing an old Zelda game lately and I’ve been struck by how incredibly scripted it all is. Everything is preordained. You’re in a new area and you’re stuck and then you just “happen” to find the perfect item. What a coincidence! You want to explore a new area, but you can’t because you have to complete A, B, and C first, in that specific order. No exceptions. Everything is staged. No one playing the game has a truly open or unique experience. Don’t get me wrong, I love Zelda games. The series has been hugely successful because it’s really good in a lot of other ways. But it’s nothing like the new wave of games which allow you to create your own world, go anywhere, and do anything. I find it telling that the designers of the upcoming Zelda game for WiiU have been working on a complete overhaul – something more open, social, and free. Real life isn’t completely scripted, but it isn’t completely open either. It’s somewhere in between. There are structured checkpoints we need to pass through in order to accomplish specific things, but there’s a lot of flexibility in between those points too. I want to raise our kids in an environment where they begin with a basic script, but they have a lot of leeway in how they deliver the lines. I want to give them more and more freedom to choose their own way as they grow in responsibility and maturity. I want to encourage them to be active in the arts and in sports, two arenas that have a basic script, but a lot of freedom for how it gets fleshed out. I want our kids to follow God’s script for their lives, knowing that he too gives them much room for creating what that might look like.